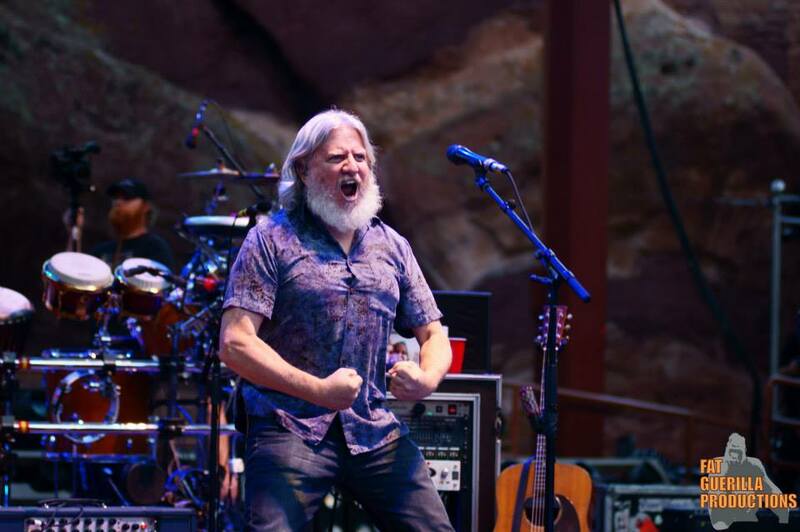 It has been two long years since The String Cheese Incident gave us a full run at Red Rocks Amphitheatre. 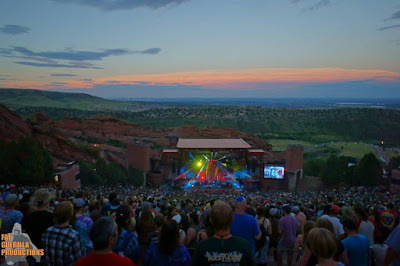 Last year because of an extended festival touring schedule and plans for a local New Year’s run, Colorado was treated to a single free show “On The Hill” in Boulder. However, one afternoon in the sun with America’s sweetheart, The String Cheese Incident, is hardly enough to satiate the hunger for summer queso that resides in the heart of the true fan. So it was no surprise when all three nights sold out well before show time. For this particular run SCI enlisted the help of some pretty stellar up and coming bands to open up the shows. Supporting sets from Twiddle, Dopapod, and Nahko & The Medicine For The People gave these concerts a ‘Summer Carnival’ vibe. Twiddle is the last (or most recent) great hope for jam. There seems to be a mild resurgence of bands willing to follow the well-worn path first beat down by the likes of Phish and Blues Traveler. The jam scene has fizzled a bit in recent years with the genre-fication of the bands alongside younger audiences’ focus on electronic music. Twiddle is singlehandedly pulling in fans and making it okay to say the word "jamband" again. This set was classic Twiddle with a couple of surprises. They opened with a huge “Gatsby the Great” sandwich with “Big Country” as the roast beef. They gave a nod to Eric Clapton with a “Layla” tease during “Jamflowman.” Twiddle invited free agent and all around amazing keyboardist, Todd Stoops, up for “Lost in the Cold.” While the novelty of including Stoops was not lost on the crowd, Twiddle may have missed an opportunity to really rock out. They closed the set with “When it Rains it Pours.” Overall this was a great chance for Colorado to see what Twiddle can do. 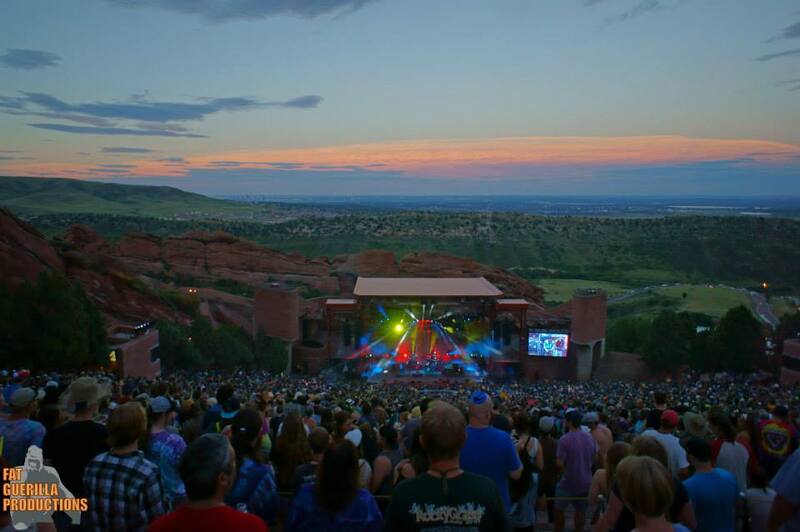 Through ceaselessly touring and focusing on the music, it will not be long before Twiddle is selling out their own Red Rocks show. 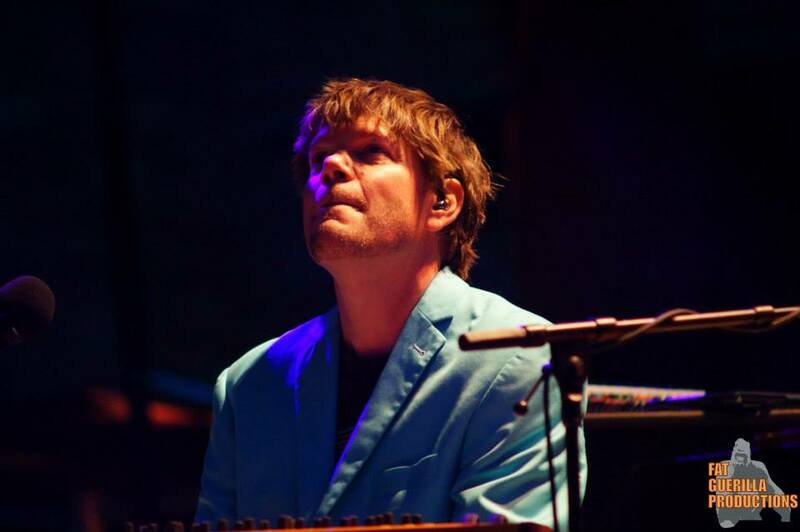 The String Cheese Incident came out on night one firing on all cylinders. In previous years, the energy seemed to build over the three day run. This time around the band came to the stage with an explosive and contagious energy that swept over the sold out crowd and stayed there for the entire run. “Dudley’s Kitchen” was like a cannonball propelling us all into the abyss of three Cheesy nights. The first of many Kyle Hollingsworth led songs came in the form of “Let’s Go Outside.” “Climb” was massive, lasting almost 20 minutes before a perfectly funky “Outside and Inside.” There seemed to be a theme developing. “Look At Where We Are” was another nod to our enviable surroundings, but “Big Shoes” was the highlight of the first set. The segue into “Just One Story” was flawless and the instrumental “Whiskey Before Breakfast” propelled the energy forward. They ended the set with “Can’t Wait Another Day.” During the song they abruptly came to a halt while Billy and Jason came over to inspect Kyle’s keyboard. The shtick was that the keys were synchronized with one of the rows of lights. It was not obvious, and I heard from many after the show that they didn’t really understand the joke. So much for humor at a jam show, this was their one misstep all weekend. 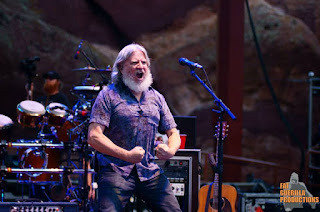 The String Cheese Incident returned with a spot on rendition of the Rolling Stones’ “Sympathy For The Devil” sung by the incomparable Keith Moseley. The bouncy Billy led “Out On the Road” refocused the crowd before a tight “Valley Of The Jig.” “Windy Mountain” may have been the most appropriate song of the night, as strong gusts pushed fans around up top. Kyle again took us on a ride on the organ heavy “Way That It Goes.” Mr. Kang pulled no punches on an intricate “Best Feeling” and the crowd pleasing “It Is What It Is.” SCI closed out a very solid second set with a beautiful “Black Clouds" that featured some stripped down blues jamming from Barefoot Billy. They sent everyone off gleeful but excited for more with a “Smile” encore. The first night felt strong on all accounts. Despite any shenanigans with the lights The String Cheese Incident came to Red Rocks to play. The energy was still palpable as the lights came up to disperse the crowd. As I headed down the ramp towards the South Lot I smiled knowing that two more Cheesy days loomed large on my horizon. The second night of any three-night run is usually a peak performance. The band and the audience are in synch and everyone is ready to throw down. This is why Saturday night shows tend to be the first to sell out in any given three-show series. This was the case for The String Cheese Incident at Red Rocks this year. The schedule remained the same as night one with Dopapod taking the famed stage at 6:30 PM. Dopapod at its core is a rock band with a strong sense of time and progressive jamming. At times performing delicate and intricate instrumentals featuring funky synth flourishes and hard hitting beats. There is a reason people are paying attention to this band. The soaring sounds of Dopapod bounced off the monolith rocks. Their set lasted around an hour with a steady build towards a progressive pinnacle. They invited their former drummer, Neal Evans, up on the kit to play a punchy “Black and White.” They went into the organ-infused jaw buster “Dracula’s Monk” to close their very well received set. Dopapod made the most of their performance, and I’m sure they gained a slew of new fans. On paper this show looks absolutely insane, and it was. After a dark and deep jam on the Kyle-led “Eye Know Why,” the band invited up Rhonda Thomas and Tony White to add their incredible vocal talents on “Sweet Spot.” Thomas and White killed it on the band’s rendition of “Please Send Me Someone To Love.” It was a cover famously done by B.B. King on his Deuces Wild album as well. The “Round The Wheel” featured some of the deepest jamming of the first set with a definite allusion to Phish’s “First Tube.” Travis and Hann went to the first drum solo of the evening, which dissolved stealthily into Peter Rowan’s “Sweet Melinda” sung by Mr. Moseley. SCI pushed on with a psychedelic transition into Bill Monroe’s “Wheel Hoss.” String Cheese invited White and Thomas back out to sing on a set closing cover of Paul McCartney’s “Live and Let Die.” The crowd went a little apey. The second set was a bit more straightforward Cheese with a couple of rare songs dotting the set list. “Tinder Box” has not been performed since the 2013 Red Rocks run. A rowdy “Restless Wind” reignited the dance party before they went into a solid “You’ve Got The World.” “Hotel Window” was a nice breather, but “Rivertrance” was anything but. Keith took us “Way Back Home” before Billy treated fans to a beautiful “Looking Glass.” That too ended with a huge segue into a set closing “Just One Story,” which began the previous night. Big Gigantic’s Jeremy Salken and The Motet’s Dave Watts appeared with Travis and Hann for a ridiculous second drum solo that acted as an invitation for the rest of the performers. What followed was an epically timed “Rosie” sandwich featuring the ultimate bust out of Michael Jackson’s “Billie Jean” (not played in 262 shows) featuring the vocals of both White and Thomas. Jaws were on the floor after this three-hour plus marathon of classics, covers, and sit-ins. 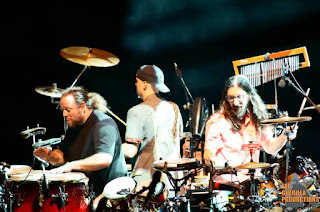 The additional vocalists gave the band a soulful element, which they took full advantage of throughout the performance. This was String Cheese focusing on the music rather than the acrobatics and skydivers. I have to say I liked it quite a bit. On Sunday the schedule bumped up an hour with Nahko and The Medicine For The People going on at the ungodly hour of 5:30 PM. It was like the daylights savings of concert runs, but seriously the sun was high in the sky as Nahko Bear and his band of musicians came to the Red Rocks stage for the first time. Through a positive message and powerful performances, Nahko and The Medicine For The People has quickly become a focal point in the jam scene and beyond. Their shows ooze with energy and infect the audience with a strong sense of community and encouragement. Their set at Red Rocks was an ideal introduction to their catalog. Nahko stood at the keyboard alone to start a hauntingly beautiful “Four Directions” opener, which built into a hymn of sorts. This is an eclectic band ranging in styles from the hip-hop infused vocal riffs to the absolutely spiritual. “Vultures of Culture” was an early highlight. 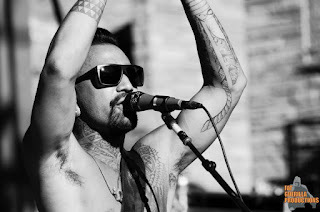 During the song “Warrior People” Nahko invited out one of his tribal brethren to put on a traditional dance exhibition. They closed their set with a celebratory “Black As Night” that featured a giving of thanks from percussionist Hope Medford. Nahko and The Medicine For The People are selling out clubs and theaters across the country. Keep on eye on them, they are on an upward trajectory in both popularity and musical output. The last show always comes too soon. The String Cheese Incident is a band to be consumed in multi-day affairs. The entire run was a testament to this band’s endurance and ability to still surprise fans musically. The harmonizing came out early on a flawless “Close Your Eyes” to get the ball rolling. The ridiculousness of the second set opener can be overstated. After the ‘Group Hoot’ The String Cheese Incident launched off into a sinister “Howard.” After a powerfully tight jam they stopped on a dime and veered directly and deliberately into Rush’s “Tom Sawyer.” As the group rounded the corner they returned to the “Howard” that started it all. “County Road Blues” has taken the longest hiatus having not been played in 139 concerts. “Stop Drop Roll” is a new song from Kyle with a funky edge. “Sirens” took on a brooding jam before it blossomed with the sweetness of Keith’s vocals. “Don’t Say” is an old Kyle tune off his 2004 release Never Odd or Even. 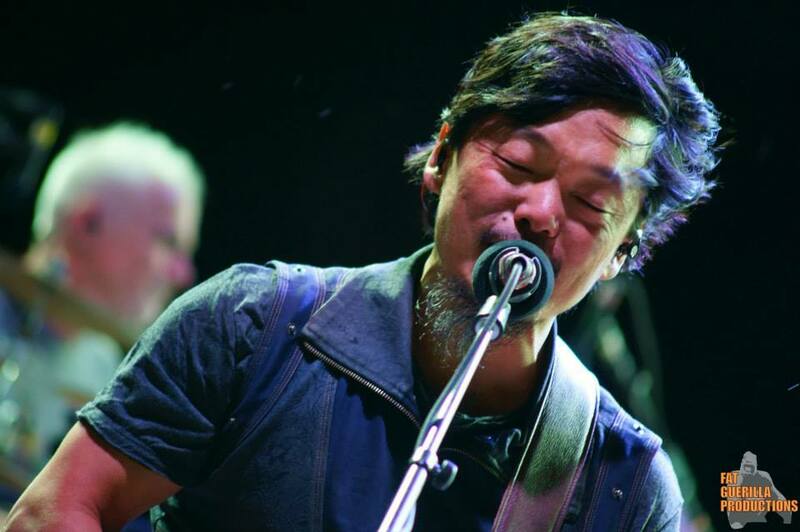 Continuing with the shadowy melodies Kang took the reigns on an intense “Beautiful.” Cheese ended the set with the acoustic jam-tastic ode to our home “Colorado Bluebird Sky.” The encore again took on unreal proportions lasting nearly a half hour total. Starting with a version of the Talking Heads’ “This Must Be The Place” they took their time transitioning to a dirty “Jellyfish.” I’m not sure if SCI was giving a nod to GD50 or just playing a song they’ve covered for most of their career with “I Know You Rider.” Either way it was a spectacular end to a very comfortable and clean run. The String Cheese Incident is sounding particularly strong now. During the run they announced that they would be returning to the 1st Bank Center for a three night New Year’s extravaganza. And since then they have revealed a full fall tour through the Midwest ending on the East Coast. So go out there and get your fundido America, The String Cheese is coming to a town near you.